Medical Motorcycle Courier, Warrington, Liverpool, Manchester. Professional, highly trained Medical Couriers provide a quick, safe, same day transportation service of Medical / Veterinary samples and supplies across the UK. Operating 24 hours 365 days a year, Spartan Motorcycle Couriers are never closed and guarantee on time same day delivery of your valuable medical samples and supplies. Including Blood, Laboratory Specimens and Confidential Documentation. Medical Samples are kept in a specially designed sample box, which is transported in a lockable Backpack which the courier never takes off until the destination is reached. No top boxes or panniers to restrict cutting through traffic and slowing down the motorcycle. Medical Samples must be signed for. 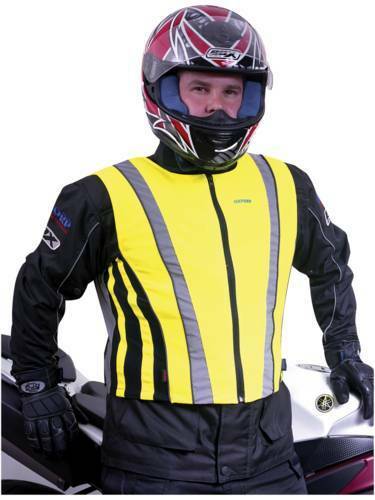 Motorcycle Courier will call you confirming samples have been delivered and the name of the person who signed for them. Spartan Motorcycle Couriers are a major supplier of motorcycle courier transport services to medical service companies. Our staff are specially trained to care for these instruments, and have various packing and padding materials. Riders are extremely experienced in handling these specialist items. We work closely together with our customers to ensure all deliveries are carried out to the highest quality at all times. Whether it's a small machine that's coming straight from the manufacturer's production line to a hospital ward, or a piece of test equipment that's being moved between laboratories, Spartan Motorcycle Couriers provide couriers who are competent at loading, transporting and unloading medical equipment without anything going wrong. That's why medical companies choose our advanced motorcycle riders on high performance motorcycles. We also offer the knowledge and willingness to unpack at the other end to ensure everything is exactly as it should be. Not all clinics or labs have the right testing or prescription facilities to hand. In some cases, requesting medicine by courier or asking couriers to take blood samples to the nearest laboratory can help to speed up diagnosis and treatment. Couriers need to be able to collect and deliver quickly - and at any time of the day or night if they want to be used by the medical industry on a regular basis. Spartan Motorcycle Couriers offer a 24 hour service as standard so our clients can rest assured we are always on hand to move their urgent consignments. If you're looking for someone to handle your medical equipment or supply delivery, Spartan Motorcycle Couriers have the specialist knowledge and experience to help you maintain your reputation with your customers. After all, if your couriers let you down, you could lose the client's business and your reputation may suffer. We take great pride in working closely with you to ensure that all your medical delivery requirements are met and to ensure our service levels are of the highest standard.